Compassion for those less fortunate has motivated three fifth-grade students to organize their own service learning projects. Upon learning that several communities in Kenya have no soccer equipment for their youth, Regan kicked off (pun intended) a soccer equipment drive, successfully collecting loads of equipment from the Tilden community. Last week she learned that the donations had arrived in Kenya and the kids there are thrilled! Similarly, Ella witnessed homeless families freezing on the streets of Seattle, prompting her to ask what can I do to help? Her answer: a warm clothing and blanket drive. Again the Tilden community stepped up, donating plenty of coats, gloves, hats, blankets, and more. Recently Ella and her parents passed out the donations to some of Seattle’s homeless population, and Ella reported that folks were deeply appreciative. Finally, Siobhan is preparing for a book drive she is organizing for students at Bailey Gatzert Elementary, a Seattle school with the highest homeless student population. Her goal is to collect 300 books for grades K-6, so each student at Bailey Gatzert can take a book home. No doubt Tilden’s families and faculty will meet or exceed the challenge. Siobhan plans to deliver the donations to Bailey Gatzert a week prior to spring break. 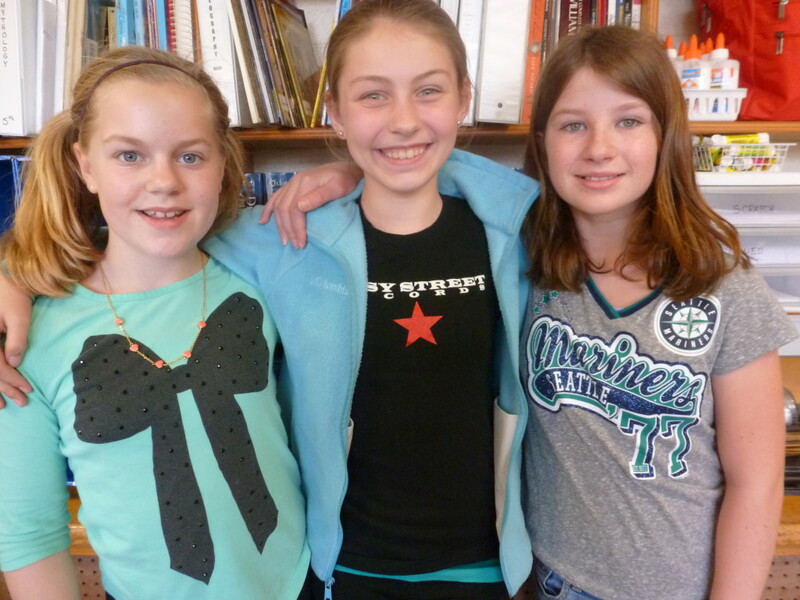 Thank you, Regan, Ella, and Siobhan, for easing the struggles of others. 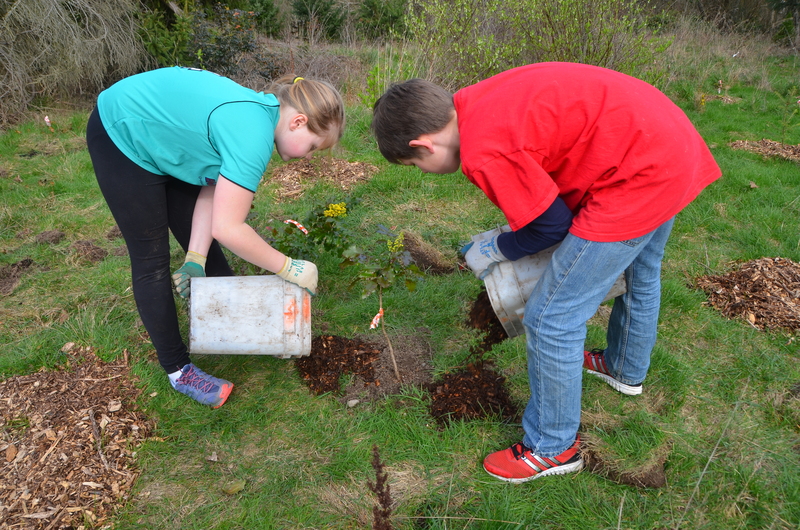 In partnership with IslandWood and Nature Consortium, Tilden’s fifth-graders volunteered a full day to restore Seattle’s largest (nearly 500 acres) remaining forest, the West Duwamish Greenbelt. Located in West Seattle, this greenbelt is a vital part of our area’s ecosystem. Its vegetation prevents storm water runoff, filters water, reduces erosion, absorbs carbon dioxide, and provides habitat for local wildlife. 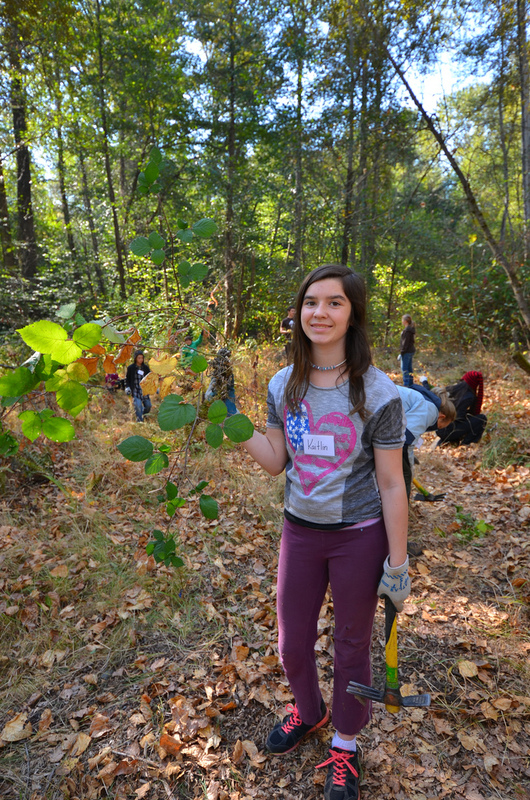 Students planted 70 native shrubs (Oregon grape, snowberry, and bald hip rose) and placed approximately 150 square feet of mulch, all while learning more about how to determine how healthy this forest is and the many ways to improve its health. 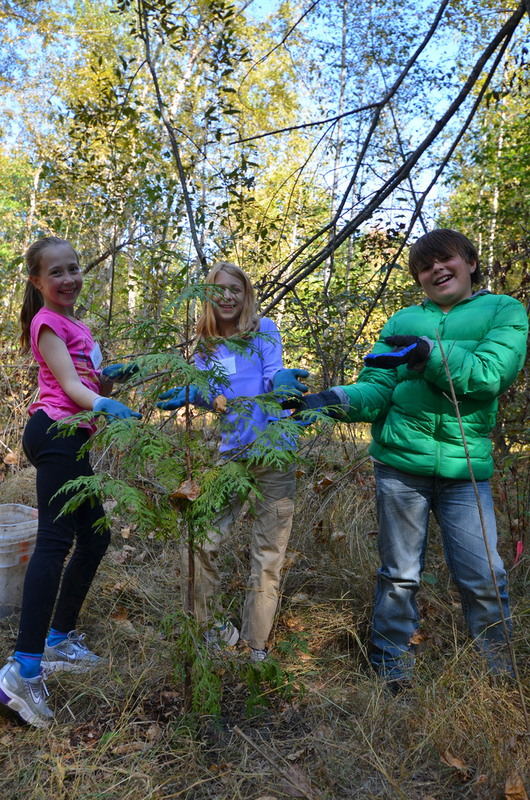 The fifth-graders’ efforts will benefit the forest for generations to come. 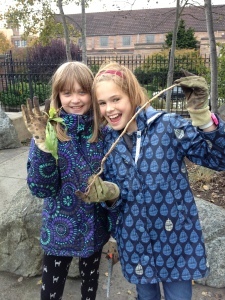 Tilden faculty and families, as well as other members of the West Seattle community, volunteer with Seattle Parks and Recreation to improve the grounds of Dakota Place Park. Removing invasive plants and trash, pruning, and mulching, the group makes the park cleaner, healthier, and more inviting. 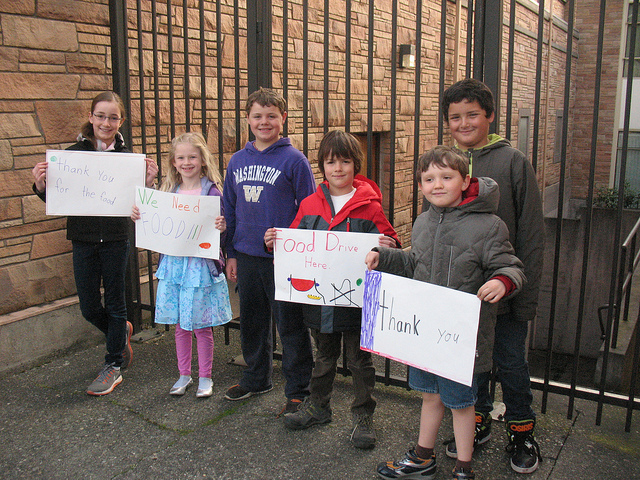 In March the Tilden community participated in our annual food drive to benefit the West Seattle Food Bank. 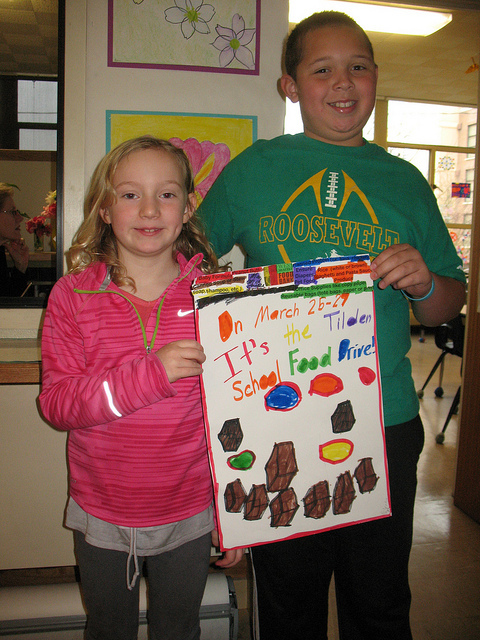 The first and fourth grade classes teamed up to help organize, collect, and deliver the food which was so generously donated by all the Tilden families. The fifth grade class enjoyed sun and volunteering fun all day with Nature Consortium in the West Duwamish Greenbelt. Full of enthusiasm and determined to make a difference, the kids removed invasive species, mulched, and planted, all while learning important lessons on what our environment needs to stay healthy. Way to go, 5s! 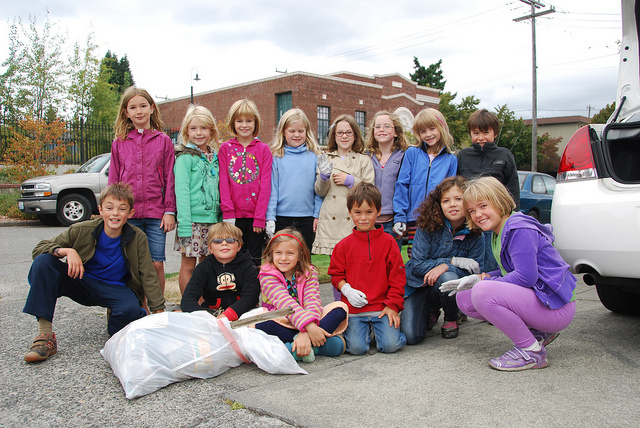 Wow, these students asked to clean up the neighborhood during recess—that’s dedication! They chatted happily and shared that delightful feeling of doing the right thing as they removed trash from around the block. 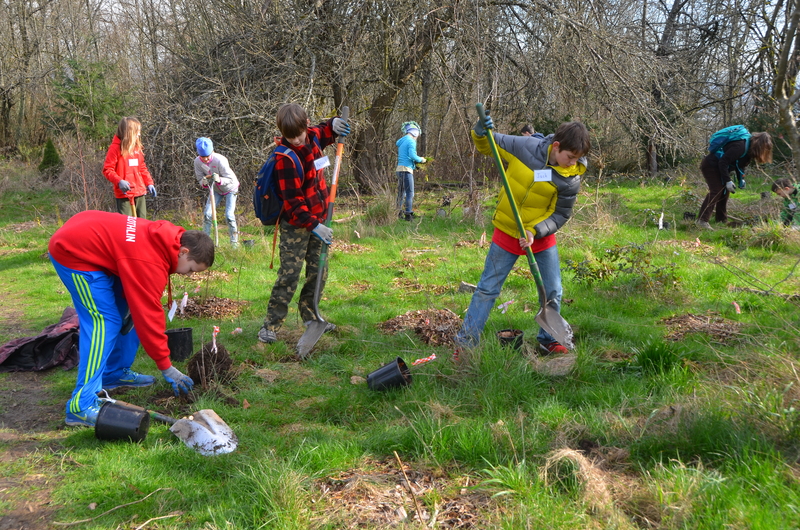 Tilden students can volunteer to clean up the neighborhood for one recess each week. Thank you to our community service volunteers!